So outside of my degree, my dissertation and my love of films and all things screen, I am a huge fan of theatre productions. A few days ago, I had the pleasure of queueing for five hours from 6am (yep.) to obtain a day ticket for Almeida Theatre’s 2017 production of Hamlet. The play was set in the modern day with full use of props: huge television screens, security cameras and planted microphones. It was cleverly staged with the theme of surveillance and observation potently running through each scene. 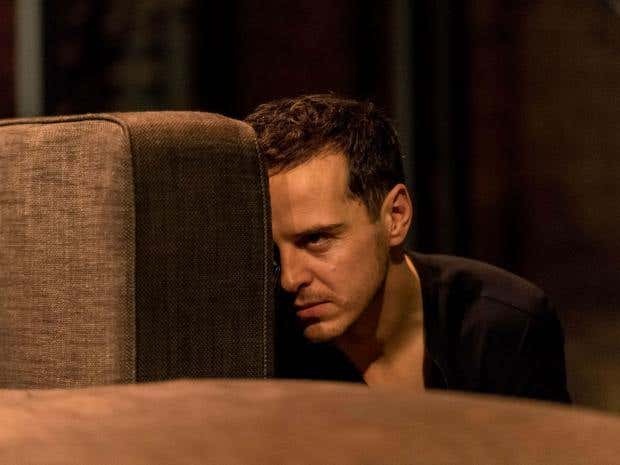 The stand-out for me was Andrew Scott as Hamlet. For those who recognise the name, yep, it is Jim Moriarty himself from BBC’s Sherlock! I have wanted to see him in theatre for ages so this was such an honour for me. In a word, his characterisation of the sweet prince was terrifying – but also captivating. He has such a command of the stage that he can both goad fear and sympathy out of the audience in the space of a minute. During his soliloquies, there was barely a cough heard in the theatre (and it was 3h 45 minutes long). So, if you do get a chance – make sure you grab a ticket for its West End adaptation coming in the summer! Inspired by this visit, I am now planning the shows that I want to see in the summer. As much as I want to deny it, exams are fast approaching but with it drags the prospect of the upcoming holidays! I will definitely be celebrating with a trip to the West End. If you haven’t seen theatre before, make sure you give it a go. It is such a unique and varied experience and there is literally a production for everyone out there. I would love to do a thread about mythbusting theatre visits but there are many articles out there that will reiterate that theatre can be affordable, they aren’t all tap dances and glitter (although I don’t understand why not), and if you’re a student, you can even get discounts! Also, not all theatre is in London – there is a large chance that there are touring productions that are going to play near you, or local productions staging well-loved classics so if you’re curious, make sure you get yourself a ticket! During revision-time, I tend to revert back to my musicals playlist hence the inspired blog-post, so I will leave you all with one of my favourite songs from arguably, my favourite musical. If you have any theatre recommendations, musicals, plays or otherwise, then feel free to pop them down below and I’ll be sure to check it out.